Please log in to register your law agency. If you don't have an account, you can get registered here. The National Neighborhood Watch Program was started by the National Sheriffs’ Association in 1972, and is the official home of the program. We at the National Sheriffs’ Association are continually taking steps to broaden and enhance the program to respond to new challenges faced by law enforcement—That is why we launched National Neighborhood Watch. National Neighborhood Watch works to enhance, expand, and revitalize watch programs throughout the country. National Neighborhood Watch provides information, training, technical support and resources to local law enforcement agencies and citizens about Neighborhood Watch. It is our hope you will encourage your watch groups to register with our website and utilize the Law Enforcement Agency Login to manage and learn of watch groups in your jurisdiction. 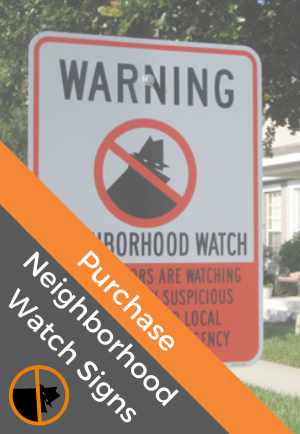 When you become a National Neighborhood Watch member you will receive an Action Pack that has great information on building a watch group, meetings, and much more. If you would like to receive our newsletter please register, the newsletter contains stories and information on what others are doing. Over the next year, the website will be adding publications and information that will only be available through this login. We are working to develop and add items to this website that will assist public safety. Please feel free to forward us useful documents you have developed or comments on the website. Please note that each Law Enforcement Agency may only be registered once and will receive one agency-specific username and password. For questions, concerns or issues regarding your agency's login, please contact us at nwmembership@sheriffs.org.